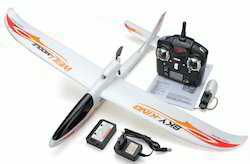 We are assisted by a crew of experienced personnel who are enormously indulged in bringing forth a broad gamut of Remote Control Airplane. With rich industry experience & knowledge, we have been able to provide the best array of Motor Airplane. Quality Refurbished Product, done Only With 3 Flights. items Included-cessna Kit, wheels, landing Gear. Engine: 50 TO .53 Cu." The A-10 thunderbolt II also known as the “Warthog is an American single-seat, twin-engine, straight-wing jet aircraft designed to provide close air support for ground forces. This 'Tank Buster' is brought to life with this new moulded foam edition. 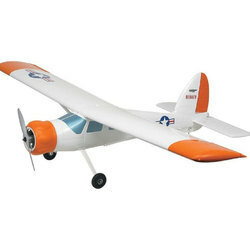 An RC-airplane...very light....super speed...capable for performing..great in-air manuevers..